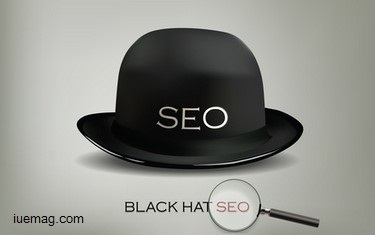 The term “black hat SEO" is perhaps no longer new to you, but do you really know what is a black hat SEO practice and the danger it could bring to your entire website? Know that Google, being the pioneering search engine used by most individuals these days establishes webmaster guidelines to show what are allowable practices and those that they do not allow in Search Engine Optimisation or commonly known as SEO. Well practically, since Google is their search engine, they all have the right to make rules and regulations according to what they think are right. And, basically if you tend to fail to follow their rules then they have the right not to include your website in their search engine. Well SEO industry is about learning how to manipulate the search engine results, and certainly it is never a bad thing. In fact, Google is seeking for your website and it wants to know exactly what your website is all about as after all, their business is about giving the users the most relevant results for their queries. However again, it must be done without the aid of black hat SEO all the way. What are the dangers of employing black hat practices in your SEO campaign? There could be a twofold danger when you are going to engage into black hat SEO practices. Firstly, know that Google is constantly changing their algorithm to remove various Black Hat SEO practices. Well, in general, there are those who get successful in their attempt but some just tend to fail. You may see some websites who are optimized with black hat SEO services to be extremely inconsistent, they can have a good ranking for some few weeks or sometimes, even months and the moment Google change their algorithm, you will see that their rankings surge to back down. Second danger is that it could carry much more serious risks. Basically, if Google will be able to determine that your website optimisation involves black hat practices in violation to the set rule of their Webmaster guidelines, they could certainly give your site the punishment it deserves. They may lower your ranking on the results, or worse, they will delist you on their page rankings. Now if they happen delist your site, it can no longer have the chance to appear in Google search results anymore. Basically, Google has no particular team to track down sites that are engaging into black hats and violate their rules. Well surely, they don’t need to because your competitors can easily report you to Google. Eventually, if your site is reported to have some discrepancies, then Google will investigate it, if the reports will be confirmed, they are going to remove you on their search engine or at least give you an extremely low rankings. What are some of the SEO practices that are considered to be black hats? Most black hat practices usually involve backlink schemes or other techniques that tend to trick search engines. Below are some example of black hat practices that are commonly used by fraud SEO Company these days. Buying some backlinks or providing some compensation that involves money for backlinks. Creating many websites just to provide a good number of backlinks to other sites or also known as link pyramids. Putting hidden text on a website, like those which are very small text that are actually stuffed with keywords or often, some fraud SEO company would put texts that are with the same color on the background to make them invisible. The creation of doorway pages is also a big no for Google. Doorway pages are created by incompetent SEO to solely attract search engine’s attention which then redirects the user to another website which could be totally different. It is ideal to note that doorway pages are different from landing pages that exist on your website which are totally fine. Any facts, figures or references stated here are made by the author & don't reflect the endorsement of iU at all times unless otherwise drafted by official staff at iU. This article was first published here on 9th September 2015. Zoe Moore is a contributing writer at Inspiration Unlimited eMagazine.